Published: 1955, copyright not renewed i.e. it’s in the public domain now. Concerned with matters relating to copyright? Please read this thoroughly. Cheers. 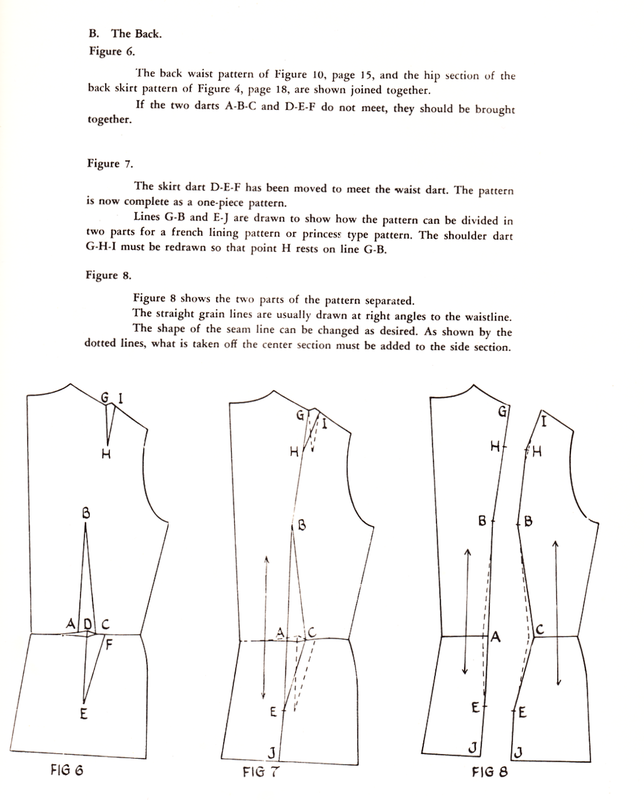 It’s interesting how older drafting books focus on draping as an alternative block-making technique. This isn’t as common today and is a bit of a pity (Lucia Mors de Castro’s book is a welcome exception). 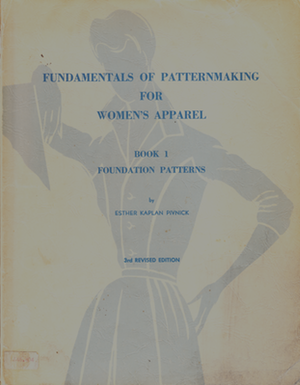 I included the image above for two reasons: measurement P which doesn’t turn up in modern-day pattern drafting books (any experts want to chime in on why?) and the fact that the faceless chick is wearing what looks like a modern-day strapless push-up bra. 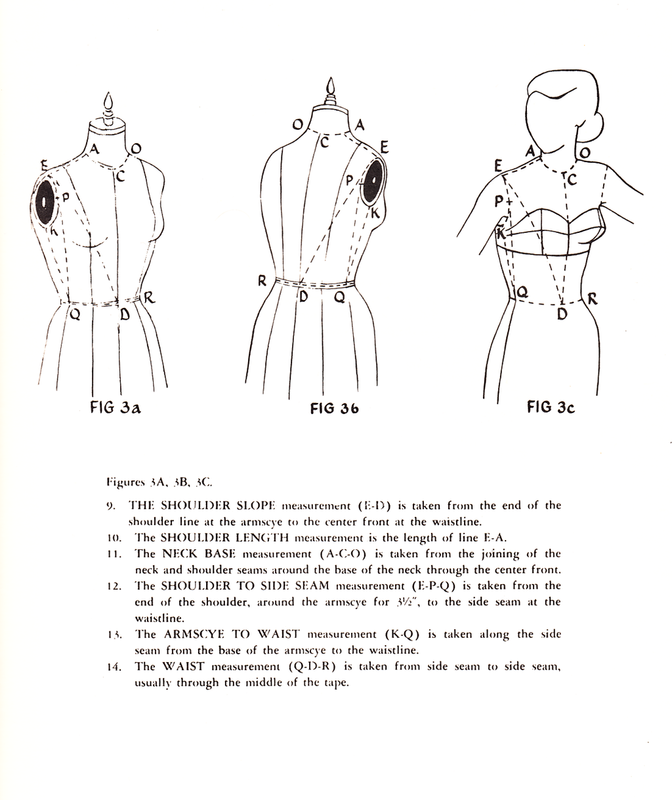 I’m also a big fan of measurement lines denoted both on the mannequin as well as on the human figure (in so much as the diagram above represents a human figure). That diagonal measurement again on the corresponding blocks this time – not something I’ve noticed in modern pattern-drafting books. Creating a dress block by combining the bodice and skirt blocks and then modifying those for Princess seams. That bit marking grainlines on both pattern pieces should be highlighted in red.. XD Achieving the same blocks through simple draping. Not so simple draping.. Aaand Grading! 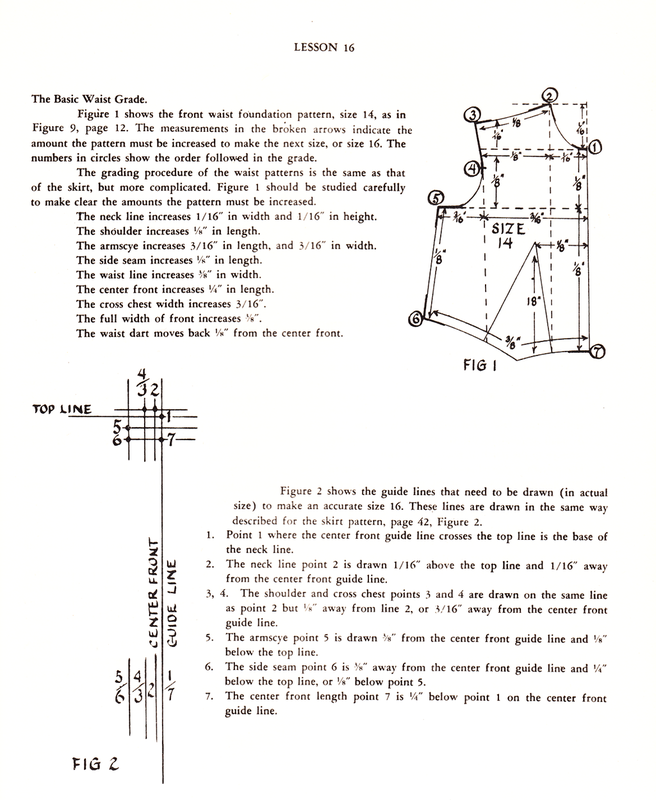 (the book also includes grading for sleeves and pant blocks because Esther’s instructions are nothing if not comprehensive in the level of detail provided). 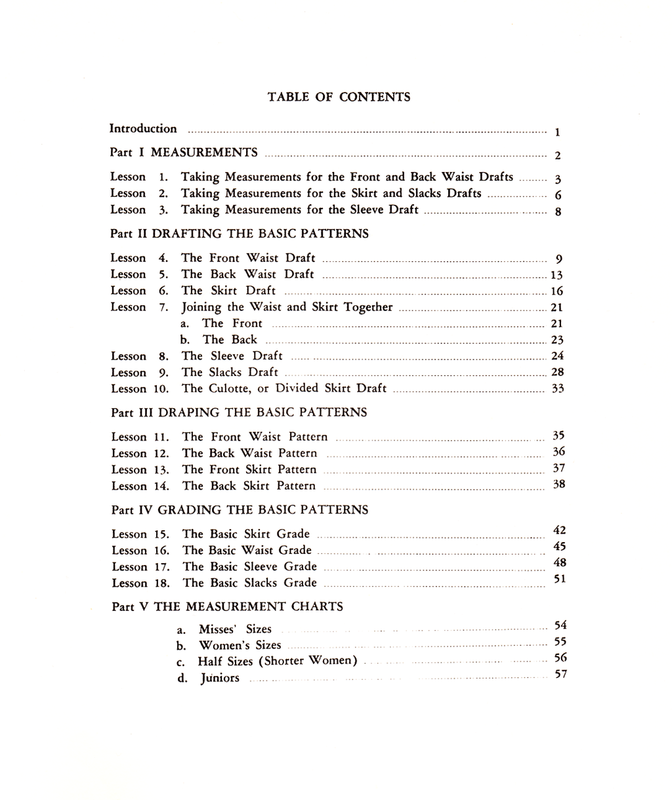 Esther optimised this special pattern drafting system off one taught to her by her father. 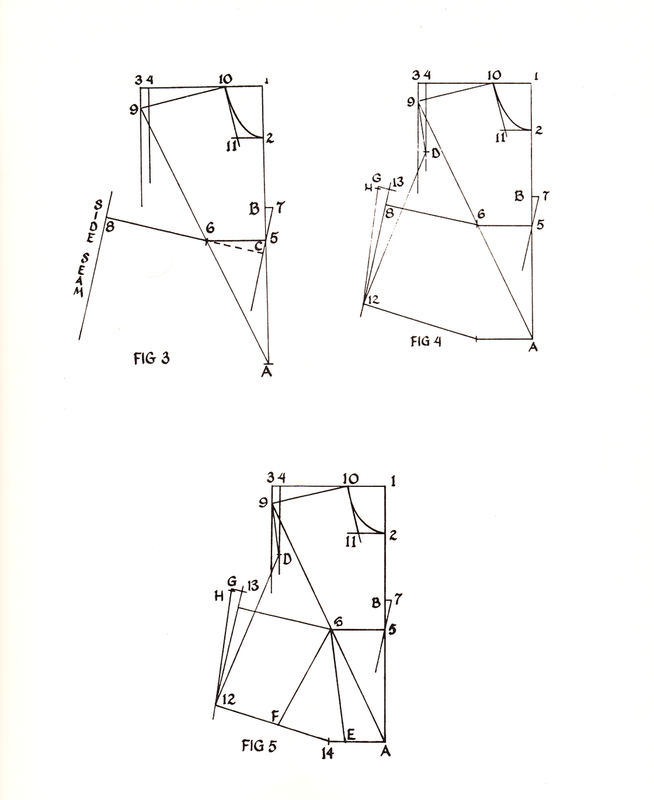 I did a bit of a search for Mr. Kaplan but all I could up with was this (somewhat related) book (thanks Internet archive)-how sweet are those convex darts? Perhaps Kaplan was not Ms E’s maiden name.. So what’s in Book 2? 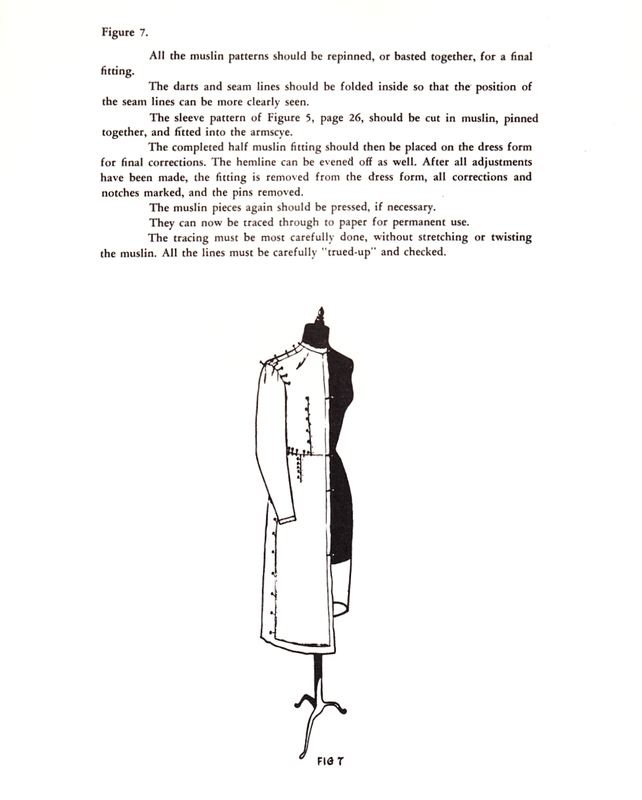 Necklines, collars, sleeves and styling of all sorts (mainly late forties, early fifties). 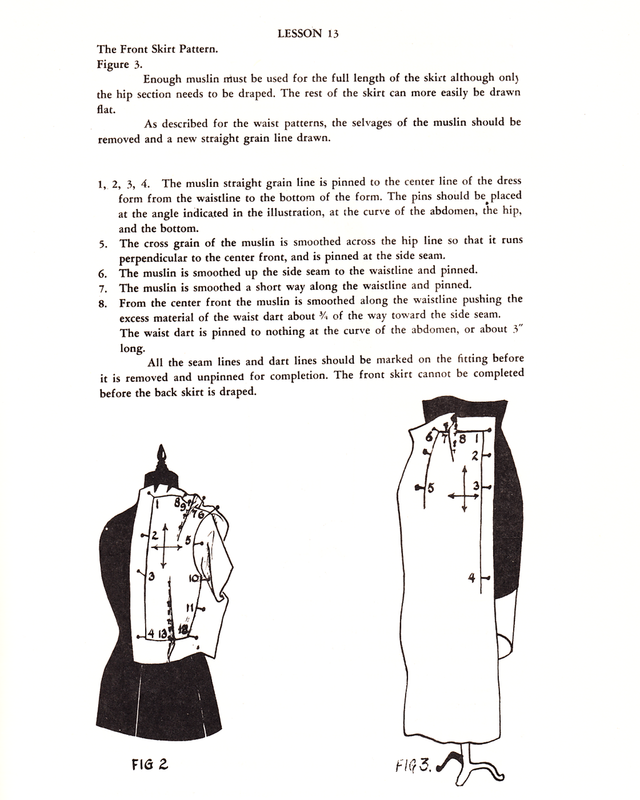 The pièce de résistance however, is a chapter with instructions for drafting, styling and fitting the dress on the cover.